Wi-Fi is now OPEN at Free I.T. At Free I.T. Athens we’re dedicated to bridging the digital divide. The costs involved with reliable broadband Internet means there are people out there with no access to the important modern services the web enables. To do our part in building a more tech-accessible environment, we have recently decided to open Free I.T. Athens’ Wi-Fi network. This will allow those around the workspace to get online even when Free I.T. is closed. We want to encourage a culture of sharing with those in our community, especially with those who do not have Internet—to get online in the area immediately surrounding Free I.T. 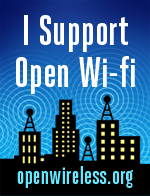 Athens, just connect your device to the “openwireless.org” network. There are many benefits to the Open Wireless Movement. It has shown itself to be extremely valuable in disaster scenarios for example. When the I-35 bridge collapsed in Minneapolis, open Wi-Fi networks became an invaluable tool for rescue workers. In a world with open wireless, we would have less congested networks which creates a more efficient use of the radio spectrum. Open wireless has privacy advantages by fighting against the notion that IP addresses can be used as a sole identifier for people. And most networks have far more capacity then will ever be used, which means that even if you open your Wi-Fi at home, most people will have no noticeable difference in performance. The biggest reason to open a network is simple though: internet access is becoming a necessity in our society, yet the cost of access makes it a luxury. Free I.T. Athens wants to do its part in changing that. Join the movement and learn more about the Open Wireless Movement at openwireless.org. Previous PostFree I.T. Athens Videos up on YouTubeNext PostNew Hours on Saturdays!